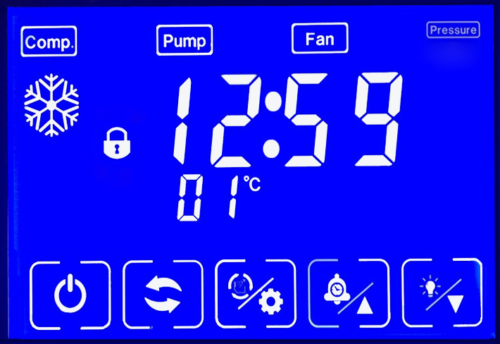 • The Touch Panel shows the current state of the machine Including currect cycle, Ice Making time, Evaporator Temperature, Storage Full Indication, No Water Indication, etc. •Auto Start and Auto Stop – User can set a Timer to start the machine at any given time of upto 12hrs. 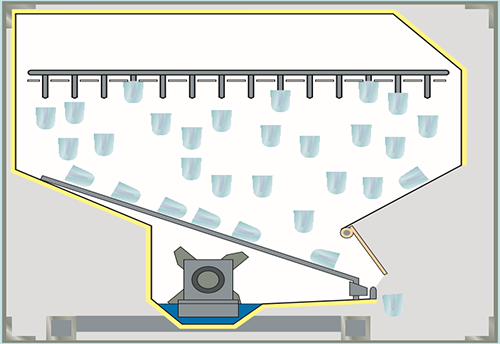 Machine stops automatically in case of water shortage, high pressure, etc. Ice-boy’s New Patent Pending Slide Out Design. • Ice-boy’s New Patent Pending Slide Out Design gives the German Centrifugal System a New Life. 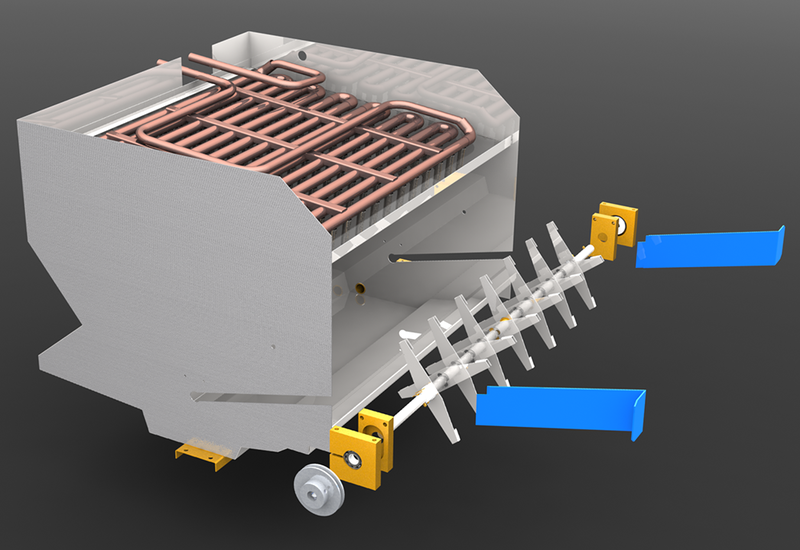 The System Slide can be easily pulled out for easy removal of the complete Splasher Assembly for easy cleaning or replacement. 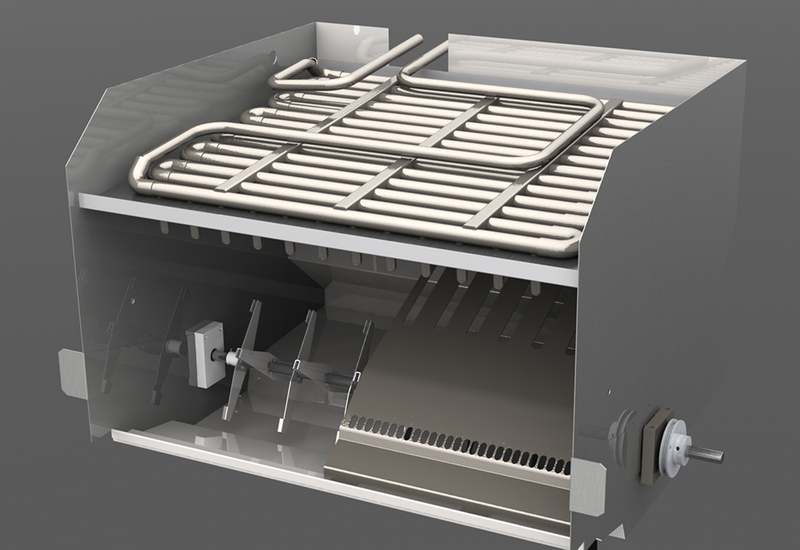 World’s Only Fully Stainless Steel Ice Producing System. 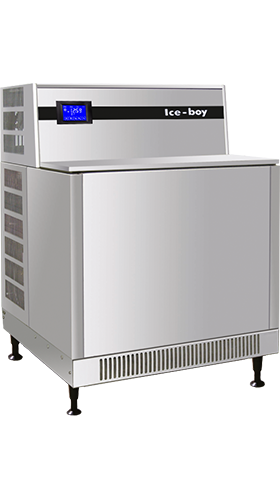 • Ice-boy’s 100% 304 Grade Stainless Steel Ice Producing System gives you the long lasting Quality and Durability that other Ice Machines do not. 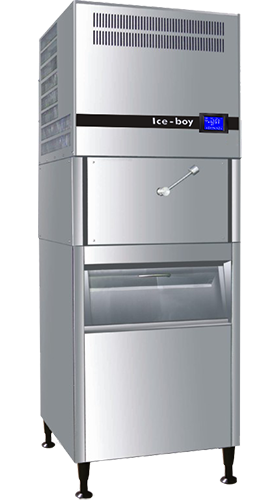 German Patented Centrifugal System to give you Long Lasting Crystal Clear Ice Cubes. 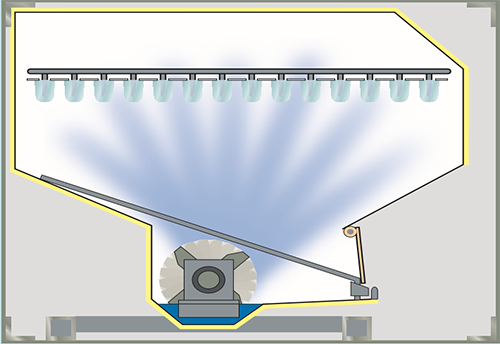 • The German Centrifugal System has No Choaking Nozzles, No Pumps and No Gear Motors, making it the World’s most advanced Ice Producing System ever. 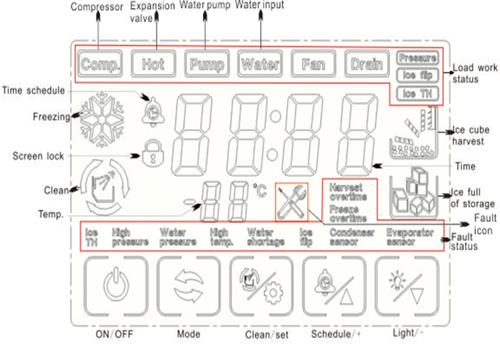 The Centrifugal Splasher System is not affected by the impurities in water, giving you Perfect Crystal Clear Ice Cubes. 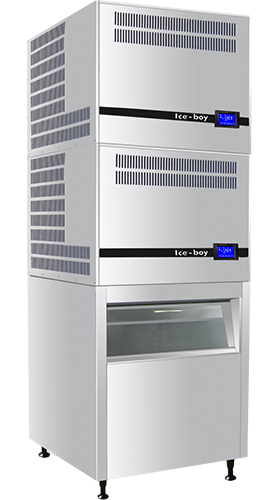 This ensures your Ice Machines remain troublefree, low maintenance and long lasting. 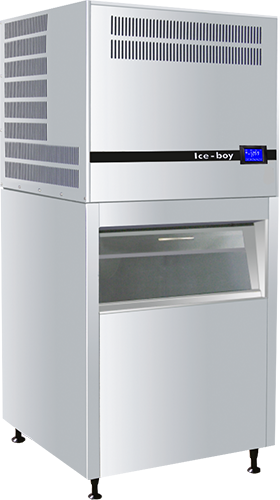 German Patented Centrifugal System for Perfect Crystal Clear Individual Ice Cubes. 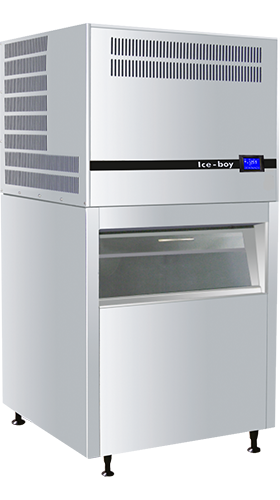 • The German Centrifugal System ensures that you get the Perfectly Sized Individual Ice Cubes every time.